MADISON- Primary-care physicians spend more than half of their work day on electronic health records (EHR) during and after clinic hours, a University of Wisconsin School of Medicine and Public Health and American Medical Association study has found. The study, published online today in the Annals of Family Medicine, shows physicians spent 5.9 hours of an 11.4 hour work day on EHR. “While physician burnout happens for a number of reasons, spending a good deal of the work day and beyond on EHR is one of the things that leads to burnout,” said Dr. Brian Arndt, associate professor of family medicine and community health. 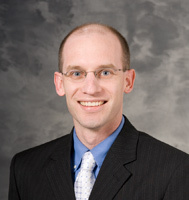 Arndt said 142 family-medicine physicians in the UW Health system were part of the study and all EHR interactions were tracked over a three-year period from 2013 to 2016 for both direct patient care and non-face-to-face activities. He found that clinicians spent 4.5 hours during clinic each day on EHR. Another 1.4 hours before or after clinic were used for EHR documentation for a total of 5.9 hours each day. That means that primary-care physicians spent nearly two hours on EHR per hour of direct patient care. “When you factor in the non-EHR duties, it adds up to a work day of 11.4 hours, representing a significant intrusion on physicians’ personal and family lives,” said Arndt. Order entry, billing and coding, and system security accounted for nearly half of the total EHR time (2.6 hours). Clerical duties like medication refills, interpretation of lab and imaging results, letters to patients, responding by e-mail to questions about medications and incoming and outgoing phone calls accounted for another 1.4 hours of every work day. Arndt said the EHR event logs used in the study can identify areas of EHR-related work that could be delegated to reduce workload, improve professional satisfaction and reduce burnout. UW Health Chief Medical Information Officer and Senior Vice President Dr. Shannon Dean said the health system leadership supports and appreciates the work of Dr. Arndt and his colleagues in identifying areas of concern and supports reducing any undue burdens on physicians by proactively looking for ways to make the EHR system more efficient and distributing appropriate work amongst the clinical care team. EHR systems do offer major benefits to patient care, so preserving their value is also a key goal.